Compare body wash brands Organic Care, Original Source, Sukin, QV, Lux, Dove, Palmolive, Aveeno, Radox, Thankyou, Nivea, Lynx and Cetaphil on effectiveness, feel on skin, smell, consistency, value for money, packaging and overall satisfaction. 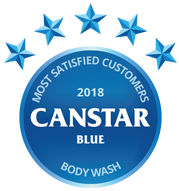 Organic Care has topped Canstar Blue’s body wash ratings, scoring five-star reviews on effectiveness, feel on skin, consistency, value for money, packaging and overall satisfaction. It was a respectable four stars on smell. Not everyone gets excited about body wash, but it could have your skin feeling a whole lot softer after a couple of washes, plus leave you smelling a treat! 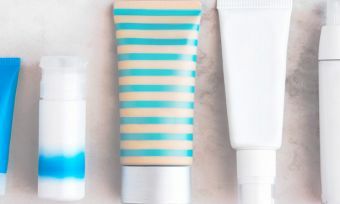 However, if you regularly use body wash, you’d know there’s a ton of options out there – shower gels, creams, oils plus additional exfoliating and moisturising formulas and let’s not even start on the enormous variety of scents. So, where do you even begin? Right here! In our inaugural body wash ratings, Canstar Blue has surveyed over a thousand Aussies to find out which brands are leaving them happy. Brands were rated on important factors such as effectiveness, feel on skin, smell, consistency, value for money and packaging. The feedback we received is reflected by the star ratings you see above. While 13 brands made the cut, only one achieved five stars for overall customer satisfaction – Organic Care. The brand was also top-rated for shampoo, so must be doing something right! Organic Care body wash got five stars in five other categories – effectiveness, feel on skin, consistency, value for money and packaging, plus four stars on smell. Top ratings were in short supply. Original Source, Sukin, QV, Lux and Dove got four stars overall, while Palmolive, Aveeno, Radox, Thankyou, Nivea, Lynx and Cetaphil were all left with three stars apiece. There were a couple of other noteworthy results, including Original Source being the only brand to get five stars for smell, while QV rated five stars for feel on skin alongside this year’s winner. 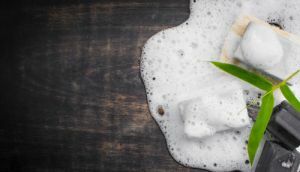 Now let’s look at what consumers found to be most important when buying body wash.
What to consider when buying body wash? The most important driver of satisfaction when it comes to body wash is evidently effectiveness. Why bother with it if it’s not doing its job. 88% of survey respondents said they’ve tried different brands and if our review is anything to go by, there are plenty of options in the pool of body washes. So if one brand doesn’t cut it, it’s easy to switch. Organic Care received five stars on effectiveness. Original Source, Sukin, QV, Dove, Palmolive and Aveeno got four stars, with the rest on three. Body wash aims to clean your skin and in turn, help leave it feeling soft. As it’s typically used every day, it shouldn’t make your skin dry by stripping off your natural oils or sting when you apply it. For different skin types – sensitive, dry or oily – you’ll find specific options targeting these factors. Both Organic Care and QV achieved five stars for feel on skin in our review, with the rest on either four or three stars. The third most important driver is smell. Typically, you’ll find each brand offering a variety of fragrances for different scent preferences. In our survey, 70% said they like to try different scents/flavours of body wash, so having the option to change it up from time to time but stick to the same brand is a plus. When asked which scent they recently purchased, 39% indicated fruit, followed by floral (36%), vanilla (26%), honey (20%), unscented (18%), woody (11%), musk (10%) and coffee (4%). Original Source was the only brand to get five stars on smell. Body wash comes in a range of textures, so you’d want to find one that makes you want to lather up every time you shower or bathe. Whether you like formulas that are silky smooth or with exfoliating beads, there are different options out there. However, no one enjoys a consistency that feels lumpy or gritty. Organic care got five stars for consistency. Aveeno, Thankyou, Lynx and Cetaphil got three stars with the rest on four. Getting good value for money is important for a product that’s usually used every day. Our survey found that one in four (25%) buy the cheapest brand of body wash. So, it seems that some spend a little extra but others prefer not to splurge. 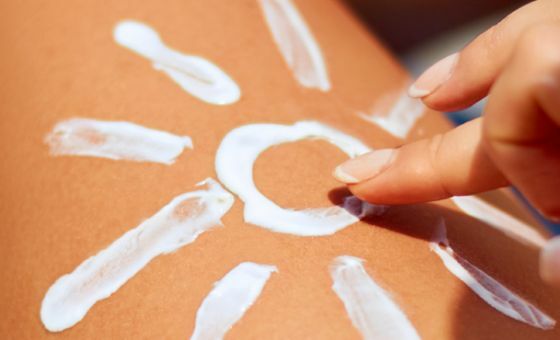 It was also noted that 33% buy a specific brand for sensitive skin, which might add an additional cost. 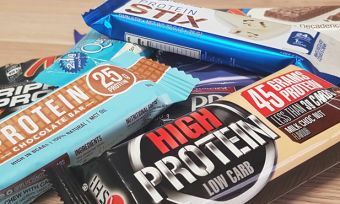 It isn’t to say that cheap brands aren’t worth it, but it’s something that you might like to consider. It was tough for many brands to win over customers on value, with most brands getting three stars. Organic Care was the only one to rate five stars, while Original Source, Lux and Palmolive got four stars apiece. Packaging can make a difference to the overall experience of using body wash. 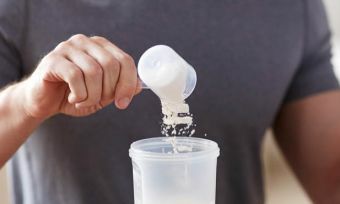 While it doesn’t directly affect the end result, having a bottle that’s easy to hold, pour and use is a plus. Even one that suits the ascetic of your bathroom can make you buy one brand over another. Organic Care achieved five stars in this category while Aveeno and Cetaphil got three stars with the rest on four. We hope you’ve found this guide helpful! If your current body wash isn’t up to standard, why not try one of the brands at the top of our ratings. Canstar Blue surveyed 3,000 Australian adults across a range of categories to measure and track customer satisfaction, via ISO 26362 accredited research panels managed by Qualtrics. 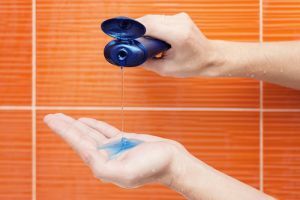 The outcomes reported are the results from customers within the survey group who have purchased and used body wash or shower gel in the last 3 months from a supermarket or pharmacy – in this case, 1,558 people.